Robin Ho Smartrade: Aussino - Strong accumulation below 0.136-0.137. Consolidating for the next up move. Watch for the break. 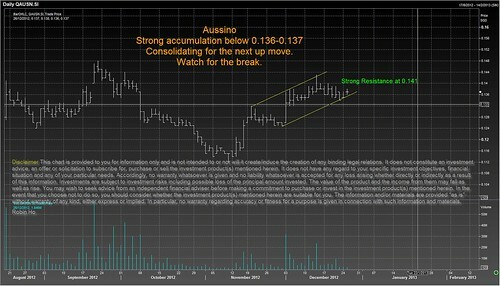 Aussino - Strong accumulation below 0.136-0.137. Consolidating for the next up move. Watch for the break.